Even with new technologies, creating simulation games can remain a hustle sometimes: Between costs, technical skills required, and ROI expected, we do not always reach the expected results. In this article, you will discover how ITyStudio can help you in this regard. “It will be time consuming to develop”. “We do not have to technical skills internally to make it happen”. The truth is that, with the arrival of new authoring tools, serious game developmenthas never been easier. 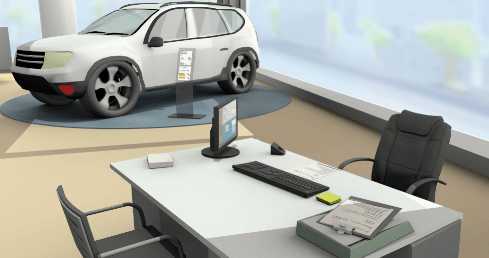 In this article, we will cover the basics to create simulation games, by using the serious game authoring tool ITyStudio as a concrete example. 1. Deploy Your Graphical Environment Among The Ready-Made Library Of Contents. Your first step to create simulation games is to setup your graphical environments. 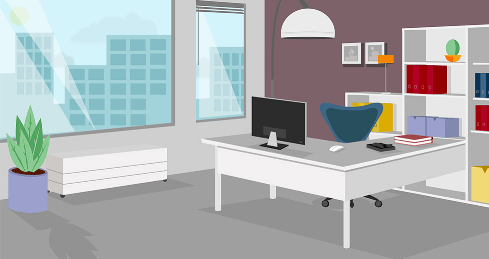 Usually, developing an environment in 2D or 3D requires effort, time, money, and above all technical skills. Besides, another important part of your serious game design process is characters’ selection. Do not hesitate to check ITyStudio’s features page to get a complete view on its library of content. Once you put in place your graphical environments, it is time to move up to the next step: Assessment. When it comes to games for corporate training, this stage is crucial. At the end of the day, your goal is to convey knowledge, and above all skills to your learners, throughout your eLearning games. To make sure you reached this goal, it is important to design properly your assessment part. Of course, everything starts with you: Objectives have to be clear in your head, and you have to be very specific about where your learners are today, and where you want to bring them tomorrow. Afterwards come the technical part. Fortunately, among all the new eLearning authoring tools, ITyStudio is one of the most intuitive. Thus, putting your objectives into axes of analysis and feedback in order to create simulation games will be really simple. Concerning the axes of analysis, all you have to do is typing it into the right line, just like you would do in Microsoft Word for instance. Then, if you want to create simulation games that engage and commit learners into their training, it is a best practice to insert feedback into your serious games. Once again, ITyStudio made it really simple and intuitive. 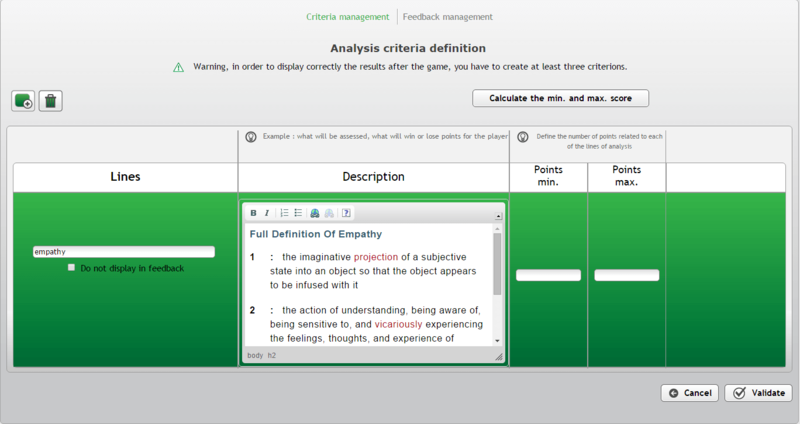 First, decide which feedback will be given to your learners, and when. For instance, you might want to give the feedback “Well done!” to a learner with a good score, and the feedback “You can definitely get better” to a learner with a bad score. When it is clear in your head, then all you have to do is inserting the feedback on the right line. 3. Create Simulation Games Easily Thanks To The Scenario Tree. Now come the funniest part: Scenario creation. Basically, it is all about adding storytelling coupled with your graphical environments and your pedagogical objectives. This part might be the funniest, but it is also the hardest when you want to create simulation games. What we know from experience is that the best learning simulations are the one with most interactivity. Consequently, do not hesitate to be creative and to give your learners the opportunity to interact with the story, the environment, characters, etc. Fortunately, more than being easy to use, the eLearning authoring tool ITyStudio is also a really interactive training software. 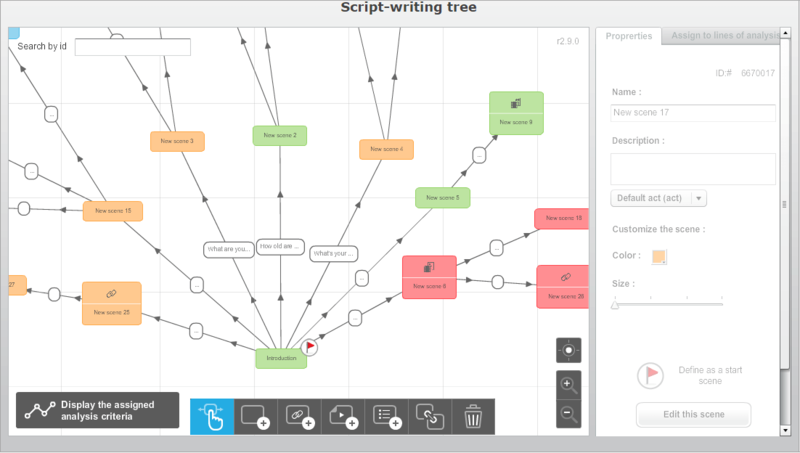 Its scenario tree will allow you to create educational games that drive results really easily. 4. Leverage Contents From Other Authoring Tools. Another ITyStudio’s feature that can help you to engage your learners in their training simulation is its compatibility with other authoring tools, such as Storyline and Captivate. When you want to create simulation games, this is really important to bring as much variety as possible in your pedagogical content. ITyStudio can help you in this regard. Indeed, you can easily import external contents, such as Captivate and Storyline, and add them into your 3D simulations. You can for instance interact with maps and characters within your modules. Last but not least: Exports. Now your content is ready to get in front of your learners. But you still have to put in into your Learning Management System platform, so that it can be spread throughout your organization. In terms of formats, you have several options, such as SCORM (1.2 & 2004), HTML, HTML 5, Standalone. As ITyStudio is a SCORM compliant authoring tool, you should not face any problem about it. Ready To Create Simulation Games With ITyStudio? Take Action! In this article, we covered how to create simulation games with ITyStudio.